During my time at Salesforce, I worked exclusively on the social enterprise product Chatter. 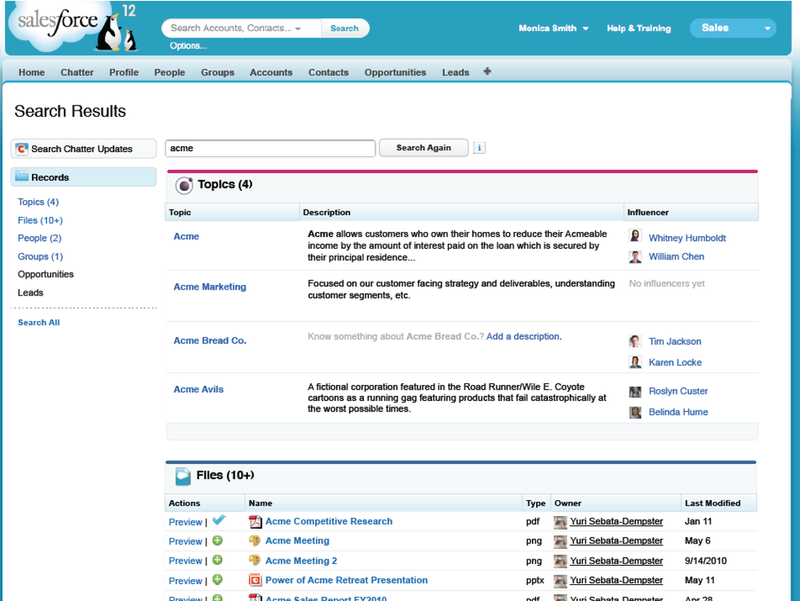 I was the primary designer on the Discovery Topics and Discovery Recommendations product teams. For a time, I also worked on Messages, including in app and email correspondence. The overall goal of Chatter was to enable real-time collaboration in a secure, cloud-based platform that was tied to the CRM services that run most businesses. Drawing from emerging patterns present in consumer based services, we enabled employees to connect with both other people, files, accounts, and external partners. My primary focus was the Chatter Discovery suite. I worked closely with the developers on my teams in San Francisco and Stockholm to create robust systems and surface meaningful information within the Chatter platform. We sought to elevate subject matter experts (SME) within a company, connect people with meaningful information at the correct time in their workflow, and provide structure to the overall aims of Chatter. While my core responsibility was to deliver interaction design, my wider team at Salesforce noticed my interest in design research early on. I enjoyed partnering closely with the dedicated researchers on our UX team. Over time, I created a new hybrid role that allowed me to spend time doing design and research within the organization. My time at Salesforce and Shoefitr both focused on recommendation platforms, which is work I really enjoy.